At Prosign Design, we are committed to providing schools across the nation with high-quality carpool tags and character education school banners. During our 20-plus years in the business, we’ve found that these products help to promote an enriched and organized school environment. Parents rest assured that their children are safe and growing in both academics and character. Students benefit from an enhanced educational experience and environment. Prosign Design is a family-owned business with more than 20 years of experience supplying high-quality signage to school districts across the nation. As a small, family-owned business, we enjoy close relationships with our clients. Our core values and beliefs are at the heart of all we do, including how we conduct business. Our extensive experience means we only offer products that are high-quality, durable, and affordable. We are committed to getting your order processed, produced, and shipped as quickly as possible. 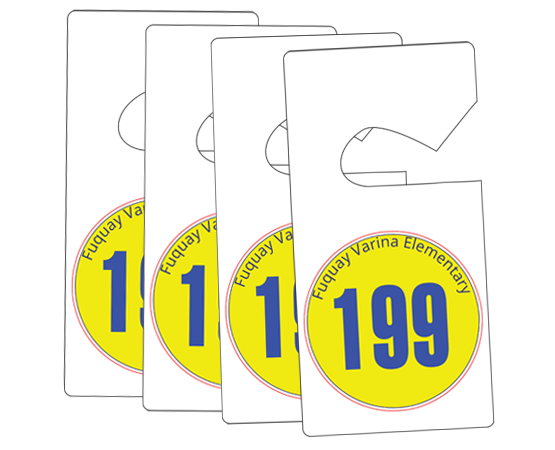 Our durable carpool tags are manufactured using heavy-duty polystyrene and deluxe plastic. Though we can customize the shape and size, the standard is a 4x8-inch rectangle with a sturdy curved hook for use as a mirror hanger. Printed decals include the school name, location and student number, which is large and easily visible. 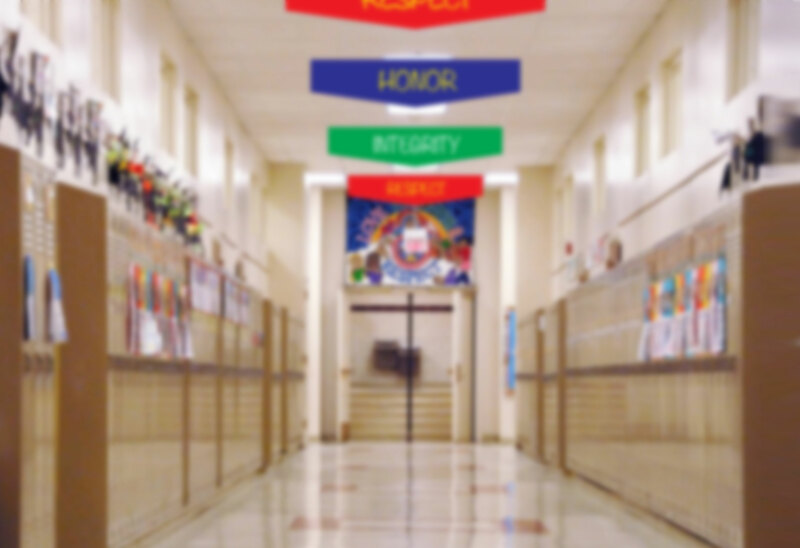 Available in a variety of colors and designs, our character trait banners come with all necessary components, including a wooden dowel, ceiling clips and hooks, as well as detailed installation instructions. Their standard size is 46x12x16 inches, though they can come in a variety of dimensions. The banner material used is durable and fire-resistant.